PT | EN The service store is mainly for Portugal and the rest of Europe, but we do our best to provide articles to other countries like US, just send us a request through the form below. In some cases the final price can vary – shipping & packaging – depending on que quantity, and the country where the delivery will be made. To Portugal and Spain the estimated average cost of shipment (CTT) may vary from 0.50€ to 2.5€ for the normal items and 5€ for the book service (registered mail) – After submitting your order you will receive a confirmation with the exact amount payable. For Europe and “rest of the World” the average estimated price varies from 0.60€ to 5€ for the normal items and from 7€ to 20€ for the Books service (ordinary or registered mail). The estimated delivery time for Portugal and Spain is between 2 to 4 working days in regular mail. Up to 6 days for Europe and up to 8 days for the “rest of the World” (with some exceptions – depending on the country). The estimated delivery time for Books in Portugal and Spain are within 3 working days (registered mail), Europe 10 working days and “rest of the World” 20 working days (Europe and rest of the World by registered mail is 5-7 working days). After payment has been confirmed, your order is shipped within 24 hours for all items available in stock. 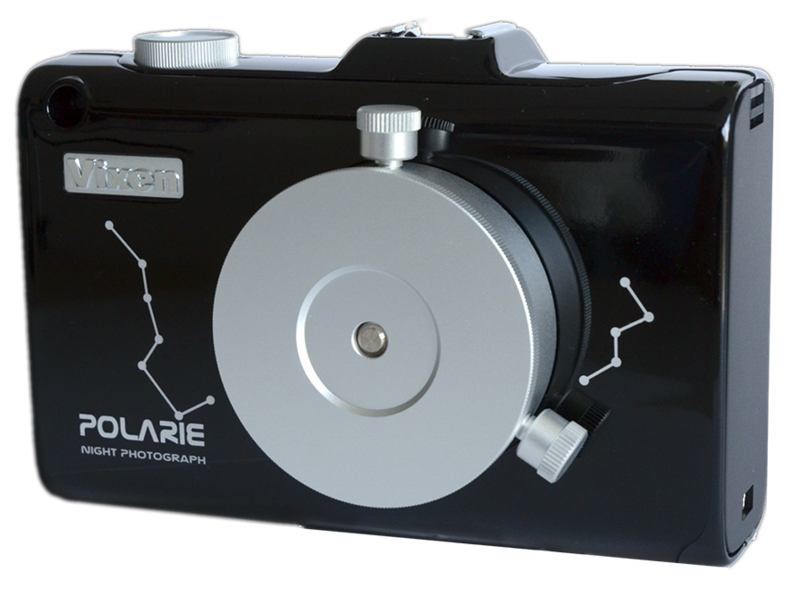 For special requests please consult me, there are a lot of possibilities for this purpose and I will be glad to help you, choosing the best option for you. 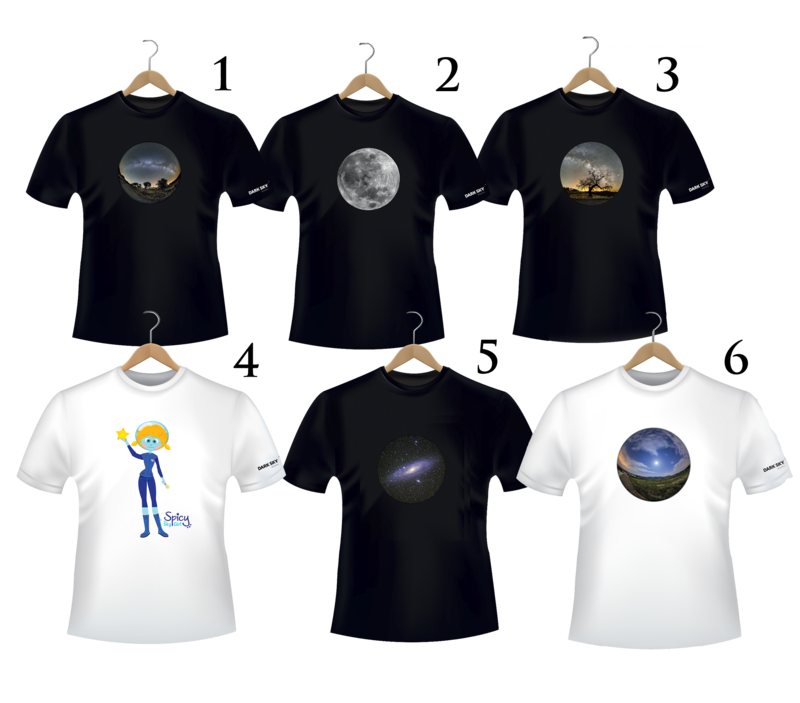 Our “All Sky T-Shirts” are available in every seasons of the year, but we only have most of sizes in stock, from Spring until Autumn. 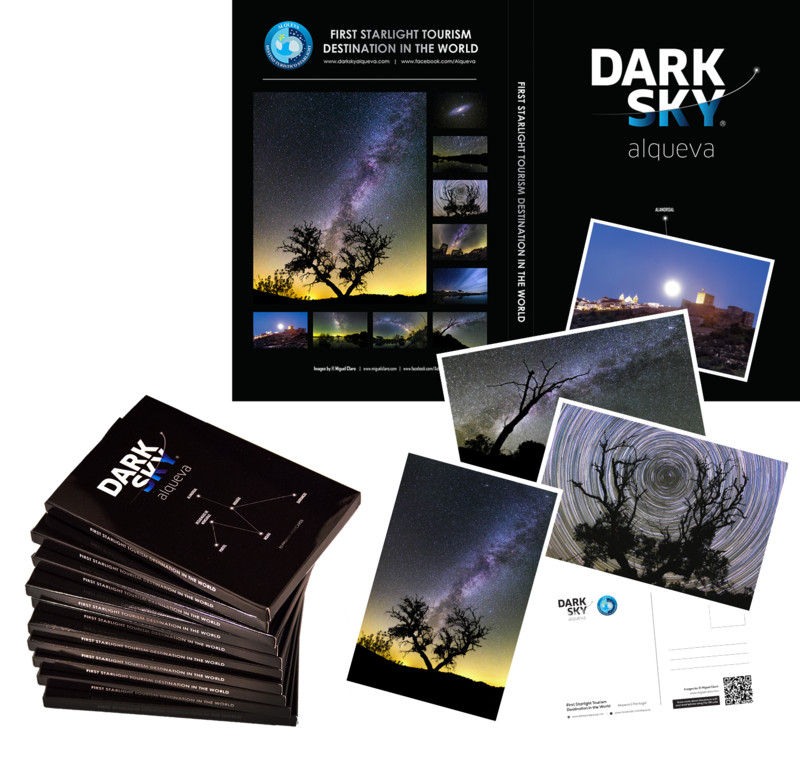 In the Dark Sky Party Alqueva & Starlight Party – July/August – we always have great stock, special promotions and new products and designs. 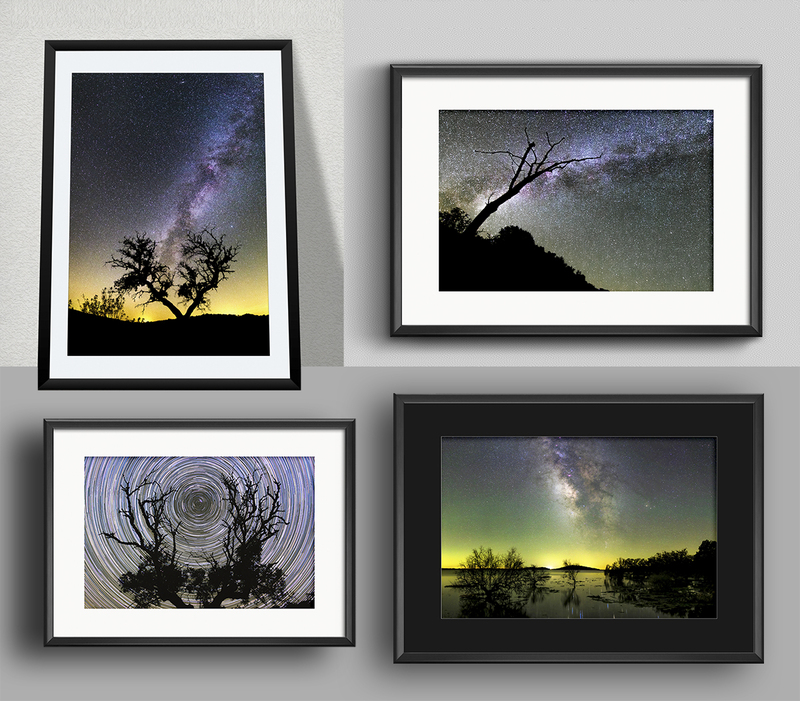 We are also available to create on demand a special “All Sky T-Shirt” with a specific new image from the gallery, so please contact us if you are interested in. 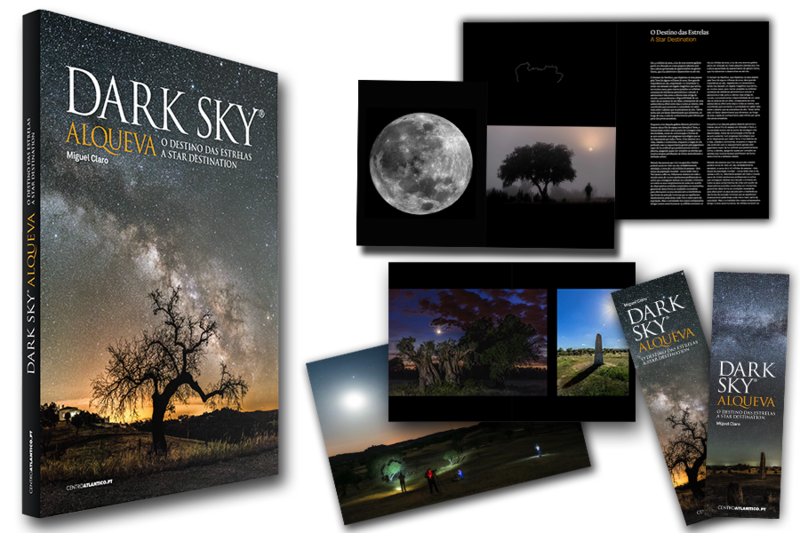 All the articles in the Dark Sky® Store were developed under the artistic signature of photographer Miguel Claro. They are made in Portugal ensuring a great fabric quality. 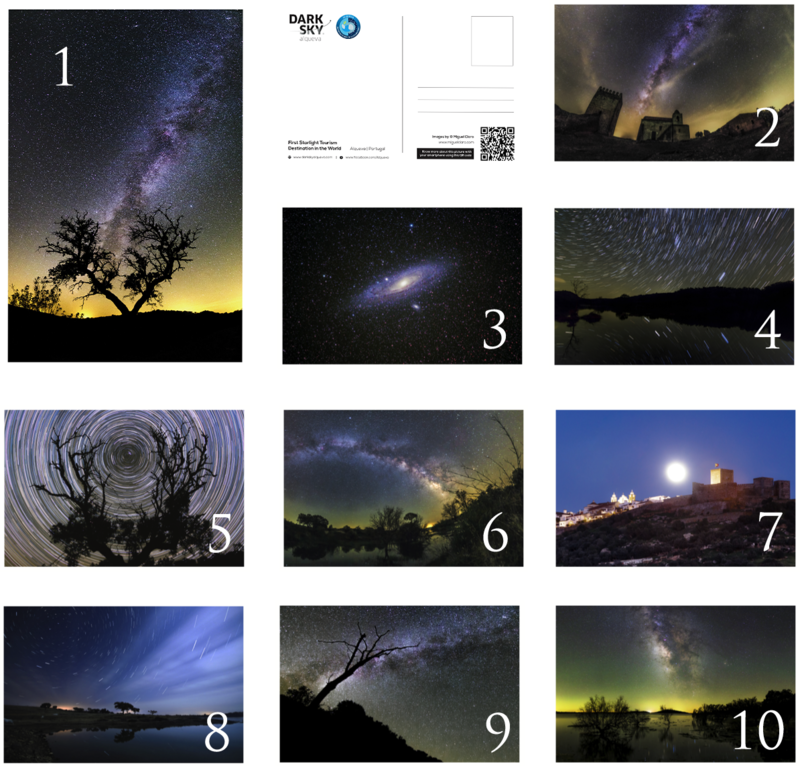 A collection of 10 postcards with remarkable images from Dark Sky Alqueva reserve. In the back of the card is also included a QR Code linking to the digital version of each image in Full HD, with a complete description. 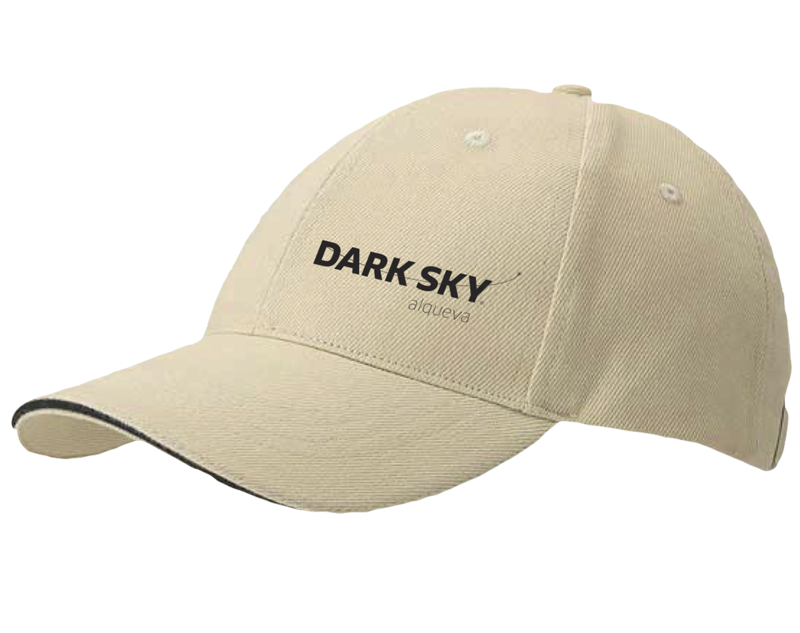 Head cap for protecting your head and eyes from the sun. Color beige with embossed Dark Sky Alqueva logo embroidered in black. Tape setting behind, with metal tab. 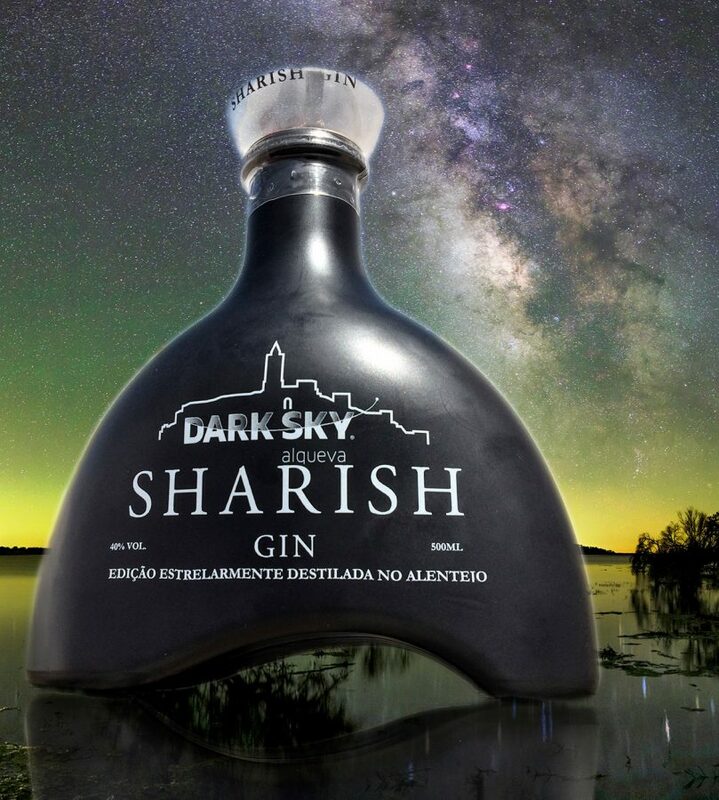 Sharish Gin with new flavor, a limited edition specially distilled in the Starry Sky of Alqueva, Alentejo. 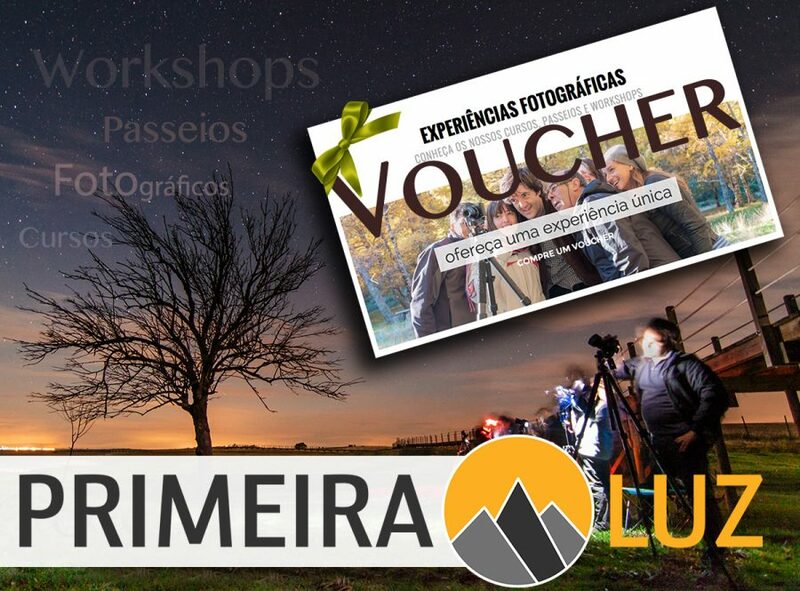 PT: Compre um Voucher Primeira Luz e ofereça ou usufrua de uma experiência fotográfica com alguns dos melhor fotógrafos do país. 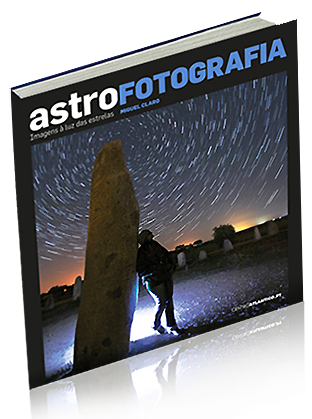 O Miguel Claro, o Luís Afonso e o Nuno Luís, são os formadores que o poderão acompanhar no Curso, Passeio Fotográfico ou Workshop que escolher. O Voucher é válido por 12 meses. Escolha no formulário a opção “Voucher Fotográfico” e indique-nos o valor pretendido. De seguida será contactado para escolher o método de pagamento preferencial (Paypal Disponível).